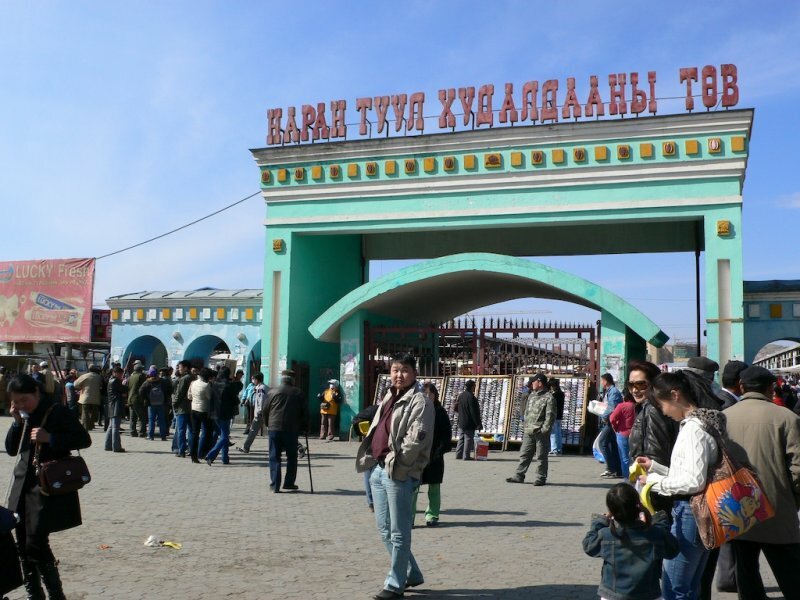 My guidebook didn’t make Naran Tuul Market sound too inviting: ‘The market is notorious for pickpockets and bag slashers, so don’t bring anything you can’t afford to lose. Don’t carry anything on your back, and strap your money belt to your body.’ I didn’t have to worry about pickpockets, though – unless there were picksocks. When I go somewhere that might be a bit dodgy I simply stuff a bit of cash down my socks. And the Black Market was all worth it. Yes, I did feel a few hands reaching into my pockets a few times, but what other market in the world can you buy an entire home and it’s contents – including dinner. 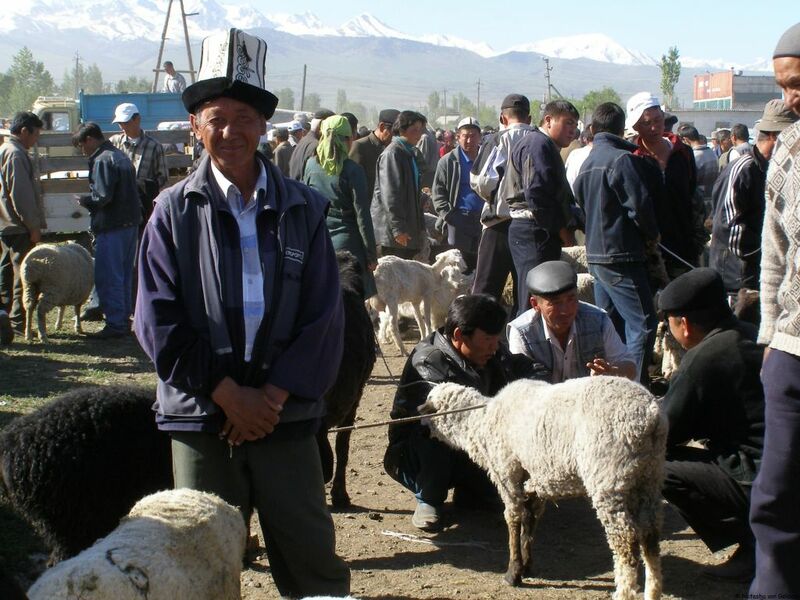 You could buy a ger (a Mongolian felt tent), plus all the furniture and even a horse and cart to take it away. 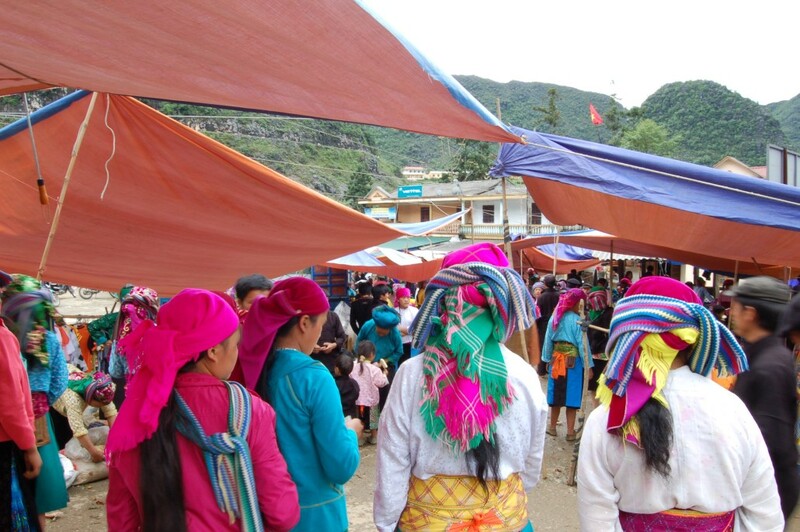 I was doing some work for an NGO in north-eastern Vietnam when we stumbled upon an incredibly colourful weekly market in a small town in the mountains of Ha Giang province on the Chinese border. 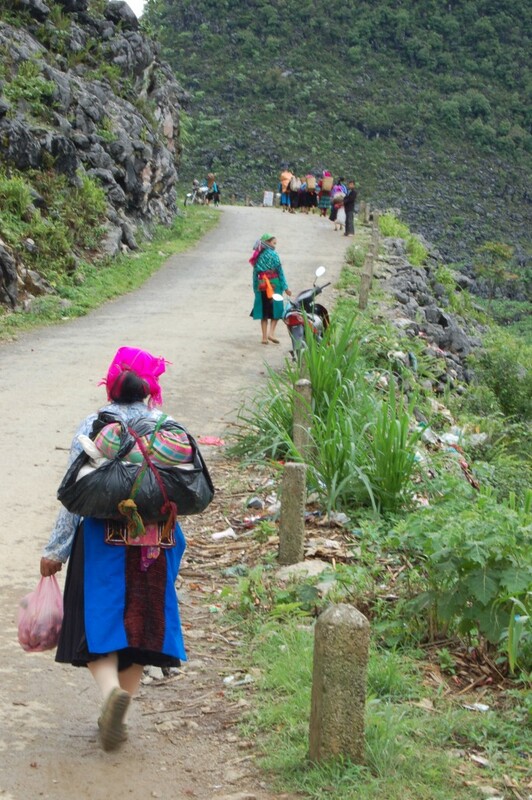 Many of the locals had trudged up steep mountain roads to get there – and then walked back down laden with food and wares. While the woman, who were all dressed in their colourful Sunday best, went ‘shopping’, the men went to the ‘bar’ and got absolutely, fall over, blithering mess drunk. It certainly was entertaining watching the women giving their husbands a good kicking to get them up from their collapsed state on the ground. 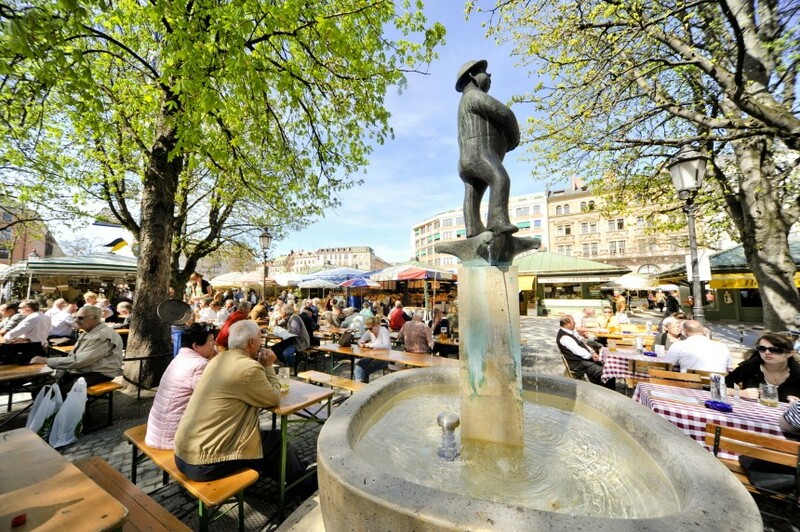 The Vicktualian Market is smack in the middle of Munich behind the main square of Marion Platz. You can buy everything from wurst to spargel spitzen (asparagus), but my favourite part is the bier garten in the middle. When I was a tour leader in Europe I spent many an afternoon there downing giant mugs of that wonderful Munich beer – and on one memorable (or not so memorable) visit I staggered out to meet up with 40 very sober passengers (half an hour late) in Marion Platz. 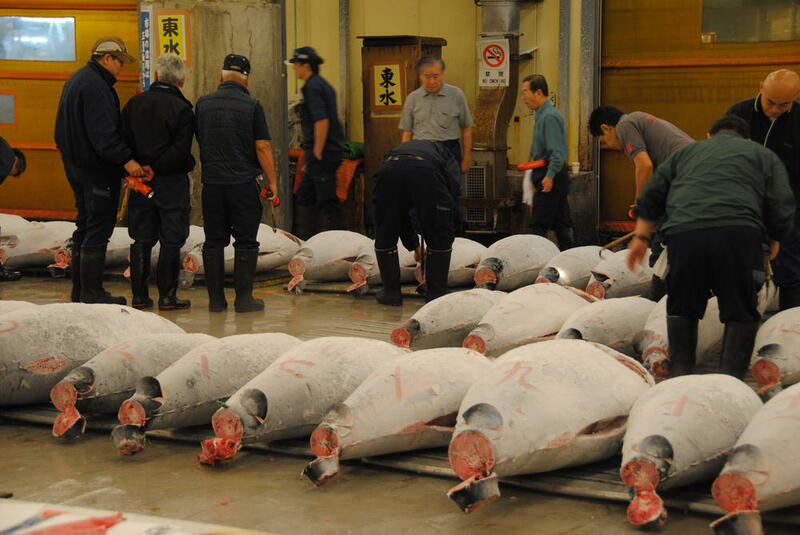 I had to get up way too early for someone on holiday, but that’s what you have to do if you want to see one of the best and most popular attractions Tokyo has to offer – the fish market. The Japanese sure like fish – one in 10 fish caught in the world is eaten in Japan, and a visit here shows just how important they are in Japanese food culture, as plenty of yen are thrown around in pursuit of the freshest catch. Besides the impressive array of fishy-type creatures the big drawcard is the sushi. Seven in the morning might seem early to hoe down on raw fish, but he sushi bars here offer some of the best in the city – and the world. You wouldn’t want to come to this market with a queazy stomach. The smell of rotten flesh hits you as soon as you step inside. 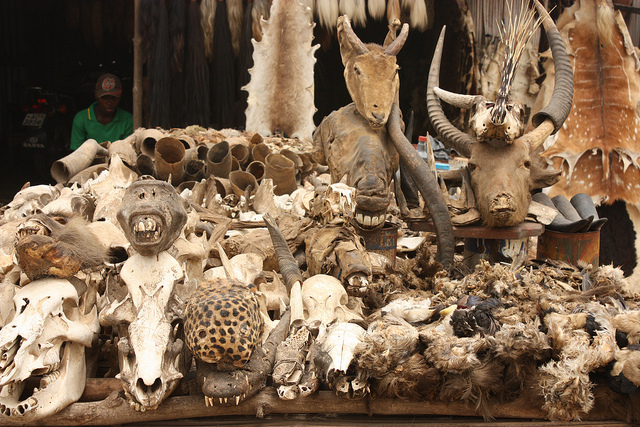 The market is basically a ‘pharmacy’ of raw ingredients for ‘voodoo’ medicines. 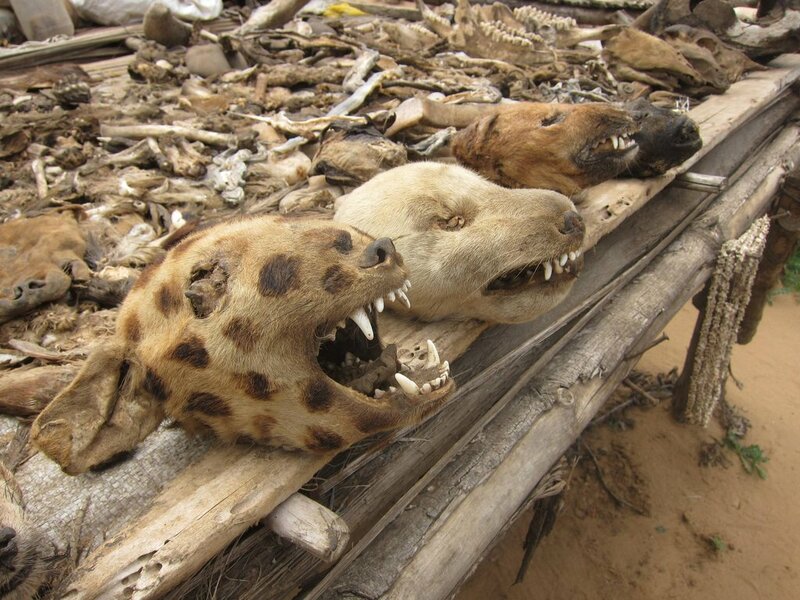 The raw ingredients were, among other dead animals, dried vultures, owls, parrots, whole bats nasty teeth, dried cobras, dog’s heads, cat’s heads complete with whiskers, monkey heads and a few leopards and hyena heads thrown in for good measure. Plus a few herbs. Sitting in front of all these were black wooden voodoo dolls spiked with nails. The ‘Chief’ of the market was the Docteur en Medecine Traditionnelle who diagnosed patient ailments and then prescribed the right medicine: ‘You have a throat infection, so I recommend that you grind up an owl’s head with some dried lizard and tarragon, mix it all together and take it three times a day with meals.’ The market was bizarre, but so interesting – and it’s not often that someone tries to sell you monkey’s testicles or a dried bat. The Chief also tried to sell me some ‘African Viagra’ (which was a mix of herbs). 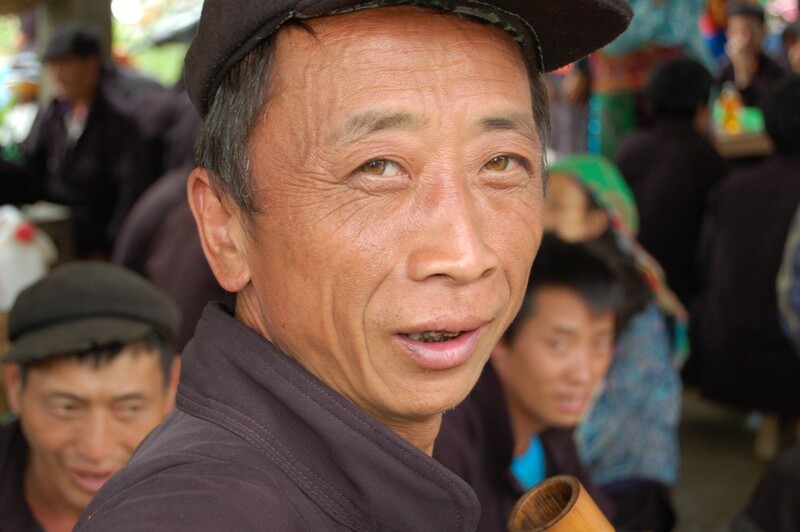 ‘ ‘You wait fifteen minutes then you go like a buffalo all night,’ he told me. Marché aux Puces (which actually translates as ‘Market of the Fleas’) is one of the biggest flea markets in the world. 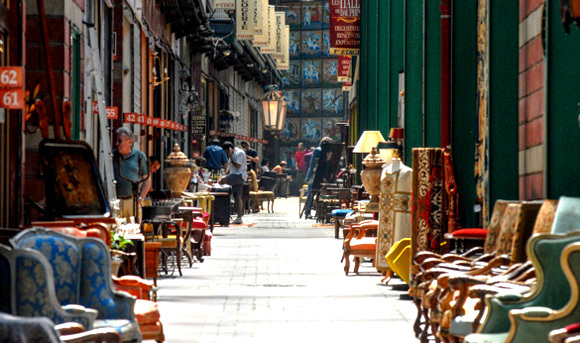 Enter the narrow streets and you are transported back in time with wonderfully elaborate antiques and trinkets for sale. Amongst all the treasures are also lots of quirky, kitsch-style junk. And when you’ve had enough of tinkering around the trinkets the area is also home to a whole bunch of great restaurants, bars, and cafes. 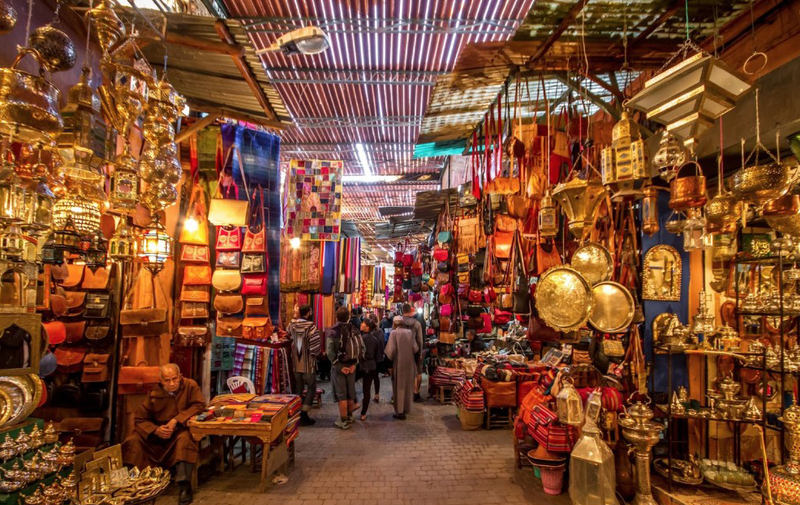 If you don’t get lost in the souks of Marrakesh you are just not doing it right. Half the fun is in getting lost and my girlfriend and I did a very good job of getting hopelessly and utterly lost for hours and we loved every minute of it. Yes, you do get hassled quite a bit and you do get dragged into carpet shops (the free mint tea is nice – and I’ve never walked out with a carpet much to their chagrin), but I loved the confusing labyrinth of narrow lanes that are chock full of colourful spices, rugs, clothes and brassy things. La Boqueria market dates back to the 1200s when it was a travelling market for stallholders from around Catalonia – and it really hasn’t changed that much. It’s still full of colourful fruit and vegetable stalls, with some of the stallholders being more then fourth-generation traders. 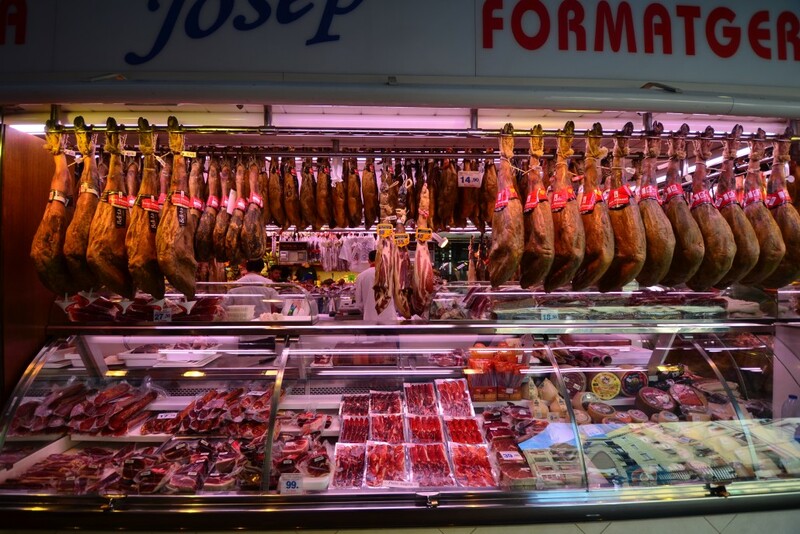 The best part, however, is the jamon (Spanish dried ham). A bit of crusty bread with the best ham you’ve ever eaten cost next to nothing. I dubbed it Jamon Heaven. 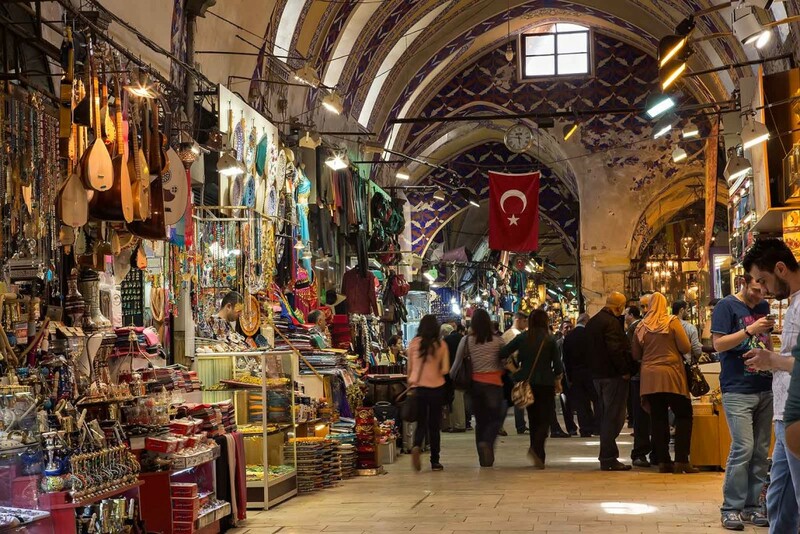 The Grand Bazaar is one of the largest and oldest covered markets in the world. It’s so big that it’s also home to two mosques, four fountains and two hammams (Turkish baths). 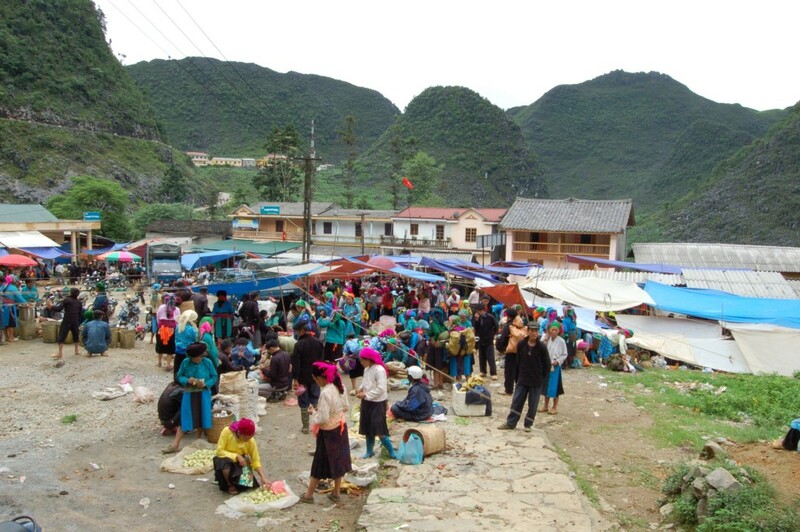 If you want to buy stuff then you have to haggle. I’ve become quite the expert at haggling, but I just didn’t need any frankincense or pointy cloth slippers. My wife is a millionaire! 8 hints for a better flight. Are we born to travel?